Alumni gather for the DePaul business college’s first reunion and networking event in China. 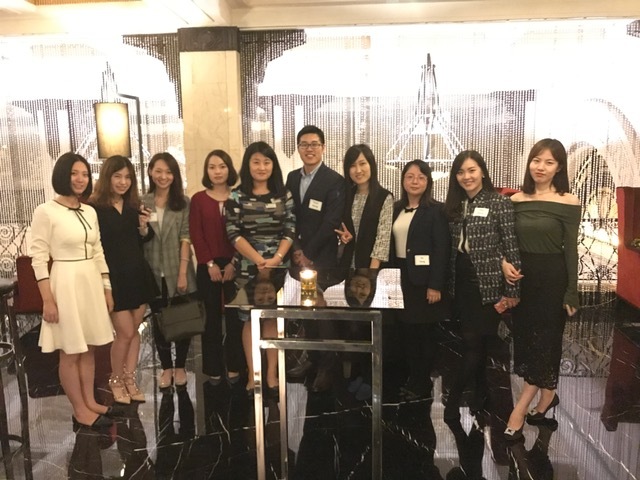 Held at the Fairmont Peace Hotel on The Bund in Shanghai, the reunion and networking event attracted more than 60 alumni who live and work in China. Accountancy professor Hui Lin, DePaul’s associate director of regional initiatives for China, organized the spring gathering through a new WeChat social media group for DePaul alumni in China that she created with Li Jin, director of DePaul’s Chinese studies program. The online group has about 300 followers. 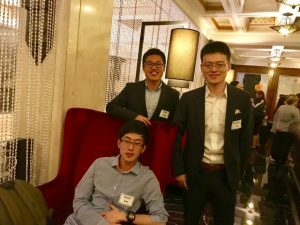 The success of the Shanghai event has already inspired alumni in Shenzhen to organize their own reunion, which took place in May. Lin hosted the Shanghai event with Associate Professor of Marketing Zafar Iqbal and Elaina Mack, assistant director of recruitment at the Kellstadt Graduate School of Business. 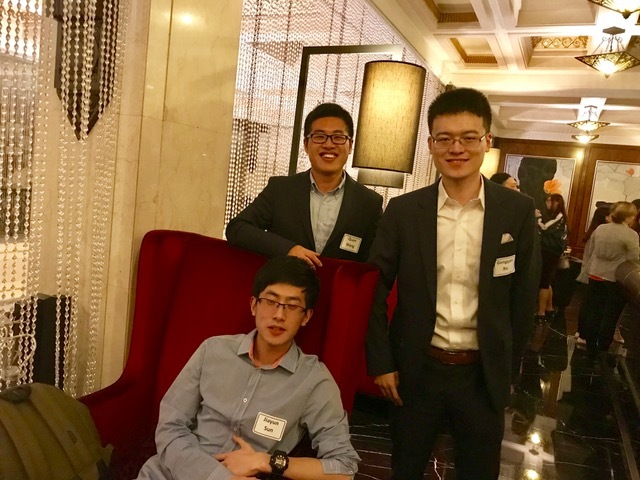 While in China, the trio also connected with Chinese students interested in attending DePaul’s graduate business program. They answered questions about international admission, coursework, internships, career support at DePaul and life in Chicago. Lin notes that the growing number of DePaul alumni in China is a great career networking asset for Chinese students should they decide to attend DePaul. Forming new corporate partnerships through DePaul’s Corporate and Employer Outreach initiative to provide on-site degree programs at area organizations. This fall, Kellstadt added MBA cohort programs at Bosch and Northern Trust, joining existing MBA programs at MB Financial, Fifth Third Bank, Walgreens and CDW. 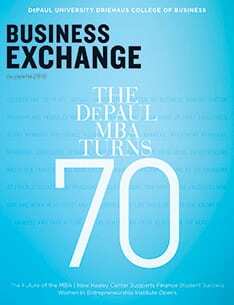 Relocating the DePaul Weekend MBA program to the Loop Campus this fall to be closer to prospective students, who increasingly work for companies based in the city. Expanding STEM-designated master’s degree offerings. This Homeland Security designation for science, technology, engineering and math-related degrees allows international students to extend their stays in the United States to pursue education and career opportunities. Introducing an MBA management concentration, which provides students the flexibility to focus their studies on coaching and talent development, consulting, leadership and change management, managing human capital or supply chain management. Renaming the Master of Accountancy (MACC) the Master of Science in Audit and Advisory Services (MSAA) to better reflect the expertise that students gain in this degree program. 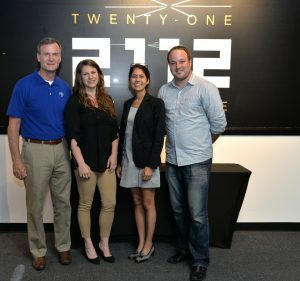 The Coleman Entrepreneurship Center (CEC) is partnering with the School of Music, College of Law and College of Computing and Digital Media to create a DePaul membership at 2112, a Northwest Side incubator for music, video and creative technology startups. 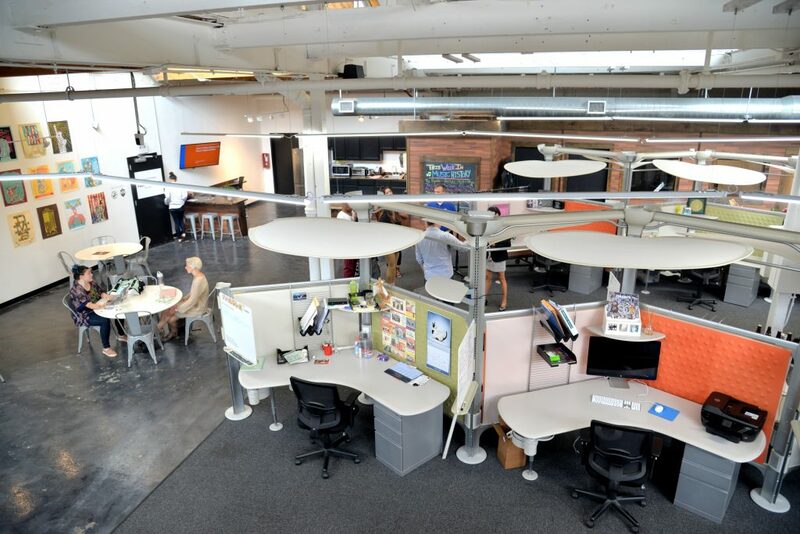 The membership provides faculty, students and alumni access to workshops, lectures, mentorships and other engagement opportunities with entrepreneurs at 2112’s two-year-old facility in Chicago’s Portage Park neighborhood. Bruce Leech (MBA ’81), executive director of the CEC, says DePaul is the first university to join 2112, which is named after an album by the rock band Rush. and Assistant Director Abigail Ingram (MA ’15) with 2112 Director of Strategic Initiatives Amor Montes de Oca and Director Scott Fetters. Leech adds that alumni interested in getting involved in 2112 through DePaul’s partnership should email the Coleman Entrepreneurship Center at CEC@depaul.edu. The CEC also formed a new internal alliance in July when DePaul’s Center for Innovation (CI) was merged with the CEC. 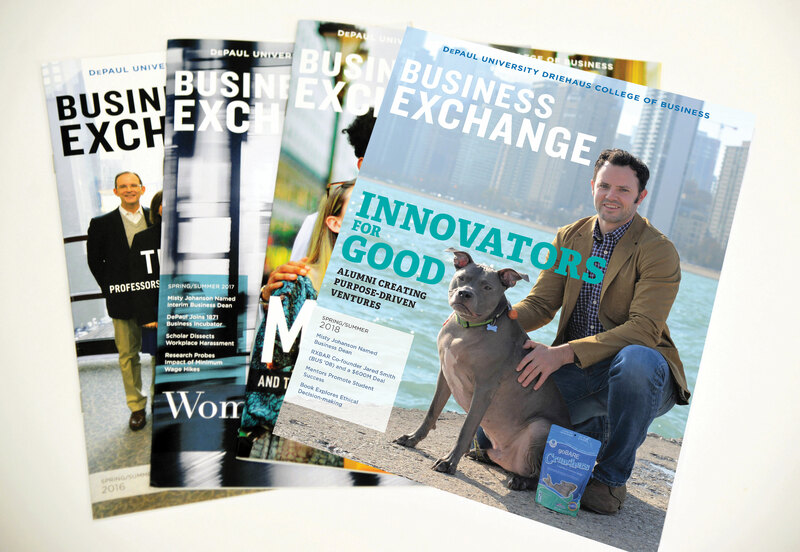 “Integrating CI’s most successful initiatives into the CEC’s programming creates synergies that will boost engagement among the ideation and entrepreneurship communities they serve,” says Misty Johanson, interim dean of the Driehaus College of Business. Management Professor Lisa Gundry, who directed CI, will continue to provide oversight for the innovation programs that have moved to the CEC.